You’re reading novel The Good for Nothing Seventh Young Lady Chapter 1082 online at LightNovelFree.com. Please use the follow button to get notification about the latest chapter next time when you visit LightNovelFree.com. Use F11 button to read novel in full-screen(PC only). Drop by anytime you want to read free – fast – latest novel. 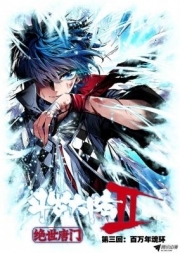 It’s great if you could leave a comment, share your opinion about the new chapters, new novel with others on the internet. We’ll do our best to bring you the finest, latest novel everyday. Enjoy! "Little Feng, do you want to see a group of idiots follow the path to their own doom?" 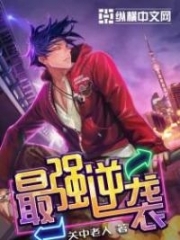 Shen Yanxiao's eyes flashed with a vile light. "For the time being, don't worry about them. I will tell you when it’s time to get rid of them." Shen Yanxiao said, clipping a sour pork rib with her chopsticks and sending it into the small mouth of Lan Fengli. 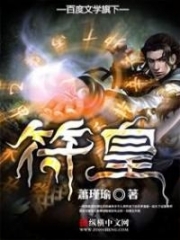 Lan Fengli blinked his eyes and obediently nodded his head. Although he didn't know what exactly his sister meant, whatever she wanted to do, he would listen to her arrangements without any doubt. Elder Wen’s expression looked erratic. Suddenly, at the entrance of the hall, a guard rushed in. "Report... reporting to Elder Wen..." The guard was pale and was covered with sweat. Elder Wen’s eyes revealed a hint of surprise, after which he immediately slapped the table and stood up, and said with a "displeased" expression, "What are you so fl.u.s.tered about? Don't you know that we have honored guests tonight?! If there’s some important matter, speak quickly!" Elder Wen seemed to be denouncing the guard for losing his manner. But in fact, whether it was the smile in his eyes or his cheerful tone, both could not be hidden, making people feel that his acting was very fake. Shen Yanxiao faintly glanced at him. Acting so obvious like that when putting on a show, she really did not know if Elder Wen was stupid or an idiot. As one similarly putting on a show, Shen Yanxiao's acting was definitely on a movie-queen level. The guards quickly answered, "Outside the City Lord Residence, there… there are ten people..."
The words of the guard had not yet been fully spoken when a loud bang was heard. The door to the hall was directly blasted away. For a time, a fog of dust permeated the air. Ten shadows slowly emerged from the fog. For a moment, the entire hall was silent. On Shen Yanxiao’s mouth hung the trace of a sneer, glancing at Elder Wen by her right side. Elder Wen appeared shocked on the surface, but his eyes were jumping with ecstasy. "Who are you people?" Elder Wen pretended to be ignorant and asked, but his tone could not completely be regarded as different from that cheerful tone just now. Although he was questioning, he did not dare to act disrespectful. The fog dissipated, and the ten figures appeared in the hall. The ten people’s appearances did not look too old, but their profound gazes revealed their true age. These ten people must have experienced the hards.h.i.+p of time. Although their faces were young, their eyes seemed to have experience a lot of vicissitudes. Among the ten people, a handsome man stood at the forefront, arrogantly raising his chin, and looking across the people in the hall with contempt. When his gaze landed on Shen Yanxiao, there was a slight tinge of hostility. "Are you Shen Yanxiao?" The man directly ignored the inquiry of Elder Wen and glared at Shen Yanxiao. Shen Yanxiao still sat on the chair, propping up her chin with one hand and lazily watching the ten people with ill intentions. "Exactly." Shen Yanxiao did not hesitate to answer. "Hmph. Ignorant child." The man coldly and proudly harrumphed. "Did you kill Ruan Yingzhe?" 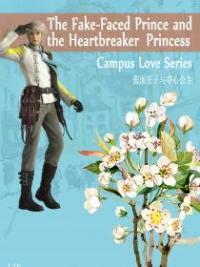 Shen Yanxiao shrugged her shoulders. "You can interpret it like that." There was no difference between dealing with people using Xiu’s hands and using her own hands. "Very well. At least you still have some guts. But you are too ignorant, you even dared to touch the people of the Broken Star Palace. Shen Yanxiao, you know that you have committed a sin and can’t be forgiven." The man sneered. Watching the disrespectful Shen Yanxiao, his contempt was spreading to the surroundings. The face of Long Fei, who was sitting on the side, immediately showed a terrified expression upon hearing those three words. "Father, what is the Broken Star Palace?" Long Xueyao looked nervously at Shen Yanxiao. She had already realized that these people had come for Shen Yanxiao. You're reading novel The Good for Nothing Seventh Young Lady Chapter 1082 online at LightNovelFree.com. You can use the follow function to bookmark your favorite novel ( Only for registered users ). If you find any errors ( broken links, can't load photos, etc.. ), Please let us know so we can fix it as soon as possible. And when you start a conversation or debate about a certain topic with other people, please do not offend them just because you don't like their opinions. You're reading The Good for Nothing Seventh Young Lady Chapter 1082. This novel has been translated by Updating. 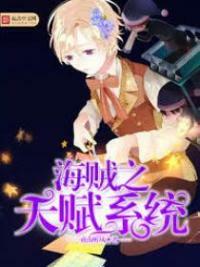 Author: North Night,夜北 already has 1711 views. Current Time is Apr-18-2019 15:14:47 PM.